Bath salts, also known as synthetic cathinones, are man-made drugs derived from the khat plant. 1 Because they are unregulated, bath salts can differ from batch to batch and may contain other harsh chemicals. They are highly addictive and can cause serious side effects. Bath salts are classified as stimulants. As such, the psychoactive chemical compounds in bath salts may produce some effects similar to those experienced from cocaine, methamphetamine and MDMA (Ecstasy) use. They can be swallowed, snorted, smoked or injected and may be purchased from convenience stores, local drug dealers or the Internet. Their packaging often includes the label “not for human consumption” so that the makers do not have to comply with federal regulations. Many bath salts users report strong cravings and experience withdrawal symptoms. As stimulant substances, bath salts have a similar effect on the brain as other addictive drugs such as cocaine. 1 However, bath salts are estimated to be 10 times more powerful than cocaine. Taking the drug in larger amounts over time. Unsuccessfully trying to cut down on use of the drug. Spending excessive amounts of time acquiring, using or recovering from the effects of the drug. Difficulty carrying out work, school, home or other responsibilities. Continuing to use the drug despite relationship problems. Giving up important activities and hobbies in favor of drug use. Using the drug in dangerous situations. Continuing to use the drug despite physical and/or psychological problems. Tolerance – needing larger amounts to feel the desired effect or experiencing less of an effect when using the same amount as before. Experiencing withdrawal symptoms when trying to stop or decrease use. Concern over the cost of treatment can be a deterrent to seeking help for some people. Over time, however, the costs of addiction – which may include health problems, emergency room visits, and missed work days – often add up to more than the cost of rehab. Type of program – The cost of inpatient treatment is typically more than the cost of outpatient treatment. Length of stay – Typically, longer stays at a treatment facility cost more than shorter stays. Type of facility – Luxury or executive rehab programs tend to be more expensive than other programs. These facilities offer additional amenities, such as acupuncture, massage, exercise and equine therapy. Location – Treatment programs located in sought-after areas, such as by the beach, can be costlier than programs located in rural or suburban areas. Size of the program – Rehabs that offer a smaller client-to-staff ratio may be more expensive because they offer a more personal approach. Health insurance – The cost of treatment when using health insurance depends on the specific plan and any deductibles or co-pays. HMO and Medicaid plans may limit the rehab programs that you can choose from, while PPO plans may allow you to choose from a longer list of programs. Credit cards – Personal credit cards can be used to pay off the costs of treatment over time. Healthcare credit cards offer lower finance rates to cover the costs of health-related services. Bank or personal loans – Bank loans and loans from family or friends can help cover the costs of treatment. Payment plans or scholarships – Some rehab programs may offer payment plans with little or no interest, or scholarships for people in need. You can ask to speak with a financial representative from the rehab about available options. If you do not have health insurance and need assistance finding a way to pay for treatment, call the Substance Abuse and Mental Health Services Administration’s (SAMHSA) helpline at 1-800-662-HELP (4357) for assistance. Who Answers? to speak to a treatment support specialist about bath salts rehab options in your area. Inpatient rehab programs allow you to temporarily reside at a treatment facility. During the day, you participate in group and individual therapy where you learn new skills to manage triggers. These programs also offer medical care and medically supervised detox. Outpatient rehab programs offer group and individual therapy for a few days per week. You attend group and individual therapy for a portion of the day and then return home or to a sober living facility. 12-step programs teach the philosophy of Alcoholics Anonymous, which includes surrendering to addiction, connecting with a higher power and building a support network of other sober people. These programs recommend that you work with a sponsor to complete the 12 steps of recovery. Teen rehabs are designed specifically for adolescents struggling with addiction. They may also provide schooling and family therapy, which can help teens decrease their drug use. Dual diagnosis programs treat both addiction and co-occurring mental health problems. Many people struggling with addiction also experience anxiety, depression, bipolar disorder and other mental illnesses. Cognitive behavioral therapy (CBT), which focuses on helping people identify thoughts and feelings that can lead to drug use. Contingency management, which involves offering rewards for abstinence from bath salts to make sobriety more desirable. Motivational interviewing, which is a non-confrontational approach to increasing people’s internal motivation for sobriety and engagement in treatment. Location – Deciding whether to go away to treatment or to remain closer to home can influence your decision. Some people prefer to attend treatment away from home to get away from triggers. Cost – Knowing your budget when looking for a program can help you consider the options. Also, finding out whether a program will accept your health insurance and being aware of any deductibles or co-pays can influence your decision. 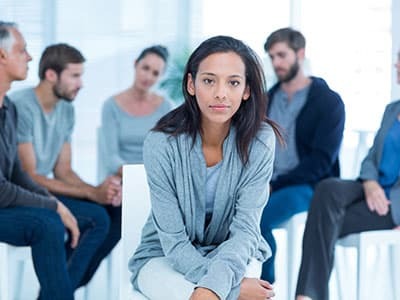 Qualifications of staff members – Rehabs may be staffed with a range of professionals, including physicians, psychiatrists, psychologists, master’s-level therapists and addiction counselors. Look for staff with advanced degrees or certifications in addiction. Accreditation of the program – Treatment programs that are accredited by national organizations, such as the Joint Commission or the Commission on Accreditation of Rehabilitation Facilities (CARF), go through extensive evaluations to ensure they provide quality addiction treatment. Philosophy of the program – Rehabs differ in their treatment philosophies. Twelve-step programs are based on the approach of Alcoholics Anonymous, while non-12-step programs often use evidence-based approaches to treat addiction. Heart problems, such as chest pains and palpitations. Stomach problems, such as abdominal pain and nausea. Other risks of bath salts include potential for violent behavior toward others, homicide, self-mutilation, suicide and overdose. 4 Treatment is highly recommended to reduce the likelihood of negative side effects and prevent possibly fatal reactions. If you or someone you care about is addicted to bath salts, call our helpline at 1-888-319-2606 Who Answers? to discuss treatment options with a recovery representative.
. National Institute on Drug Abuse. (2016). DrugFacts: Synthetic cathinones (“bath salts”).
. Ross, E. A., Watson, M., & Goldberger, B. (2011). “Bath salts” intoxication. New England Journal of Medicine, 365(10), 967-968.